I guess if I had to choose one word to describe my style, I would choose "eclectic." Personally, I have so much respect for those individuals who stick to a certain look and embrace a specific style and make it iconic. For example, you would never catch Karl Lagerfeld without his signature sunglasses, a white button-up shirt, a tie or bow of some sort, and finger-less gloves. However, I really enjoy dressing to express how I feel on a day-to-day basis. Some days I feel like expressing the wanderlust dreamer side of me by wearing a flowy boho-chic maxi dress, other days I feel like wearing something fun and whimsical to express the child-like side of me, and some days I just want to wear all black and put on a deep burgundy lipstick for a bit of drama. As humans, there are so many different emotions that we experience on a daily basis, so using fashion as a way to express how we feel is incredibly liberating for me. I find such joy painting my canvas with clothes, jewelry, and accessories because every day is a new opportunity to create a different "masterpiece." As I have said many times in my blog posts, I believe fashion is all about trying different styles and having fun. Today called for ripped jeans, a distressed crop top, a red plaid button-down, lace-up boots, and a slice of attitude that called for a trip to Starbucks for a venti caramel macchiato pre-photo shoot. Yes, it was just one of those days. 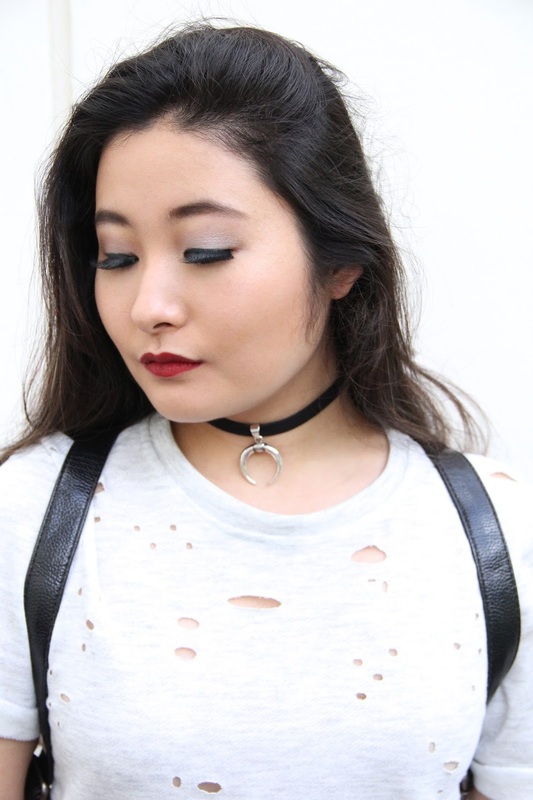 I paired this grunge-inspired look with a studded black backpack, a velvet choker, and a bold deep red lip. Aside from my Topshop jeans, my entire outfit is from Rose Wholesale. I must say, Rose Wholesale has lots of awesome pieces at really affordable prices! 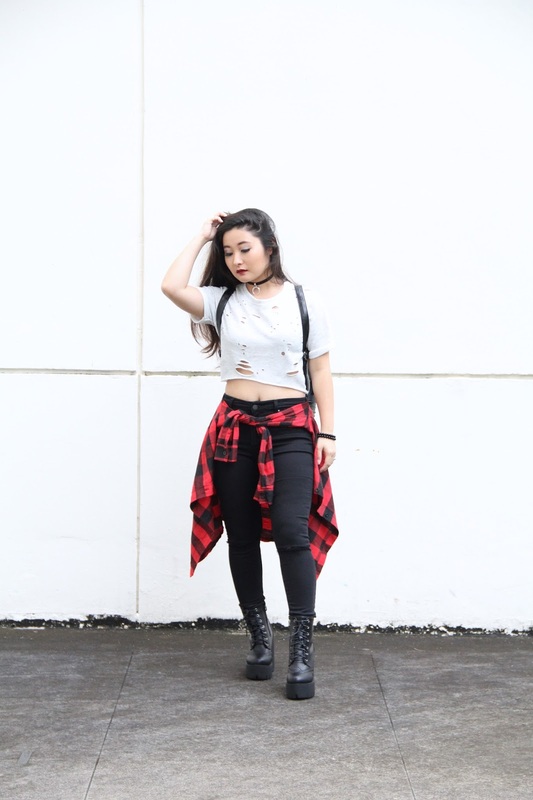 This casual look is definitely one that I would rock during the week while running errands or just working on my blog at a coffee shop. I really hope you enjoyed this outfit of the day and I will see you fashionistas in my next outfit post. As always, I am sending you lots and lots of love from my heart to yours! May your coffee be strong and your holiday spirit be bright! love the chunky boots and the backpack! Thanks, V! You are the sweetest! Looking so beauty in these stuff, I really like your new style dressing sense and also your high heel boot. You are totally a package of attraction. Buy the huge collection of wholesale clothes for women at best price.